Welcome to the final of my Top Toys series! To read more about why I am doing this series, please check out Part One HERE. You can also check out part two HERE and part three HERE. Here are my last five top picks for toys (in no particular order). Basic Concepts: You can basically work on ALL prepositions like in, out, on, off, through, next to as you drive the car all over. Part/Whole relationships: The car is PERFECT for working on part/whole relationships! Doors, windows, bumpers, lights, roof, etc. Following/Giving Directions: Give the child directions on where to drive the car…down the hallway, around the corner, between the chairs…etc. Then have the child give a peer directions on where to drive the car! Social/pragmatic skills: Ride on toys and cars are fantastic for working on social/pragmatic skills including eye contact, topic initiation, topic maintenance, topic closure, personal space, sharing, asking and answering questions, etc. This can be a great time to work on requesting a turn, waiting for a turn, helping a friend get in or out of the car, interacting in play scripts, etc. Vocabulary/labels: Inset puzzles tend to have items in them in certain categories, so they can be very jelpful in targeting vocabulary in specific categories. 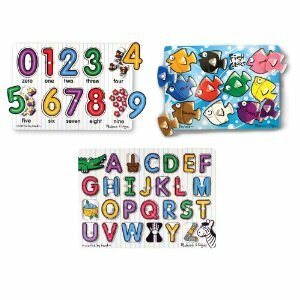 For example, farm animals, ocean animals, zoo animals, transportation, occupations/community helpers, numbers, letters, shapes, colors, etc. Part/Whole relationships: Puzzles are GREAT for part-whole relationships! Depending on the exact puzzle, you can target parts of one object or parts of many. Answering “wh” questions: You can ask your child an array of questions to work on her understanding of the target vocabulary. What animal goes “moo?” Which person puts out fires? Which vehicle does the police man drive? Again the specific questions will vary depending on the content in the puzzles. Social/pragmatic skills: Though puzzles can be a great independent activity, they can also be done in pairs or in groups to help promote social skills including eye contact, topic initiation, topic maintenance, topic closure, personal space, sharing, asking and answering questions, etc. Basic Concepts: You can target letter ID (obviously, right?) and colors. 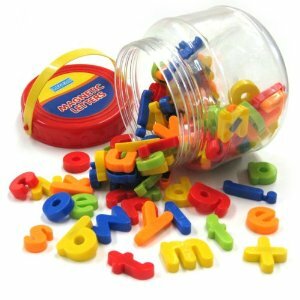 You can also use the magnet letters in a barrier game and work on prepositional concepts. I did this once with a preschool student who was VERY into letters and he was VERY motivated! Following/Giving Directions: As I mentioned above, you can use the letters in a barrier game to target prepositional concepts. Vocabulary/labels: This is where you can get CREATIVE! you can draw whatever vocab you want to work on! Cars, trucks, animals, concepts, numbers, shapes…the possibilities are endless! Verbs: Again, the possibilities are endless here! You can target any verb that you can draw! Part/Whole relationships: You can draw basically ANYTHING and then work on teaching the parts of the whole. 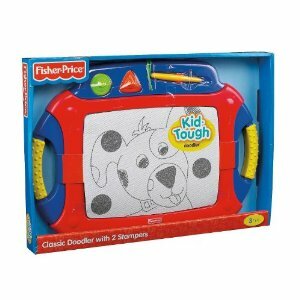 Following/Giving Directions: You can use the Magna Doodle to practice following directions. You can use two (or more) of them and use them in a barrier game! Answering “wh” questions: You can ask your child an array of questions to work on her understanding of the target vocabulary using the pictures you each draw. Social/pragmatic skills: You can use the magna doodles to practice many social pragmatic skills such as eye contact, topic initiation, asking and answering questions, etc. Vocabulary/labels: You can target all the different vocab related the the tools you use (scissors, pizza cutters, rollers, etc) as well as the different shapes you make or the items you make. 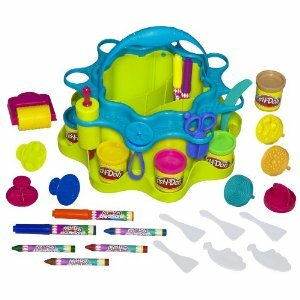 Basic Concepts: You can basically work on ALL basic concepts with play dough: prepositions like in, out, on, off, through, next to; Size concepts like big, small, biggest, smallest, bigger, smaller; colors; counting skills; shapes. Part/Whole relationships: You can even target part/whole relationships when creating different items with the dough…like making a tail for a dog or eyes on a person. Following/Giving Directions: You can do a 3D version of a barrier game to practice following and giving directions! Answering “wh” questions: You can ask your child an array of questions as you sit and create things with the dough. Social/pragmatic skills: You can target eye contact, topic initiation, topic maintenance, topic closure, personal space, sharing, asking and answering questions, etc. as you have the children make different items out of the dough. 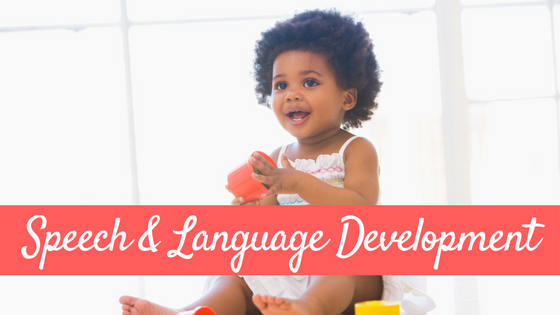 I hope that these series of posts have helped you choose some toys for your child, grandchild, students or clients and have helped give you some insight into how each toy can help support and promote language skills in some way. Please check out the links below for my other 15 picks! 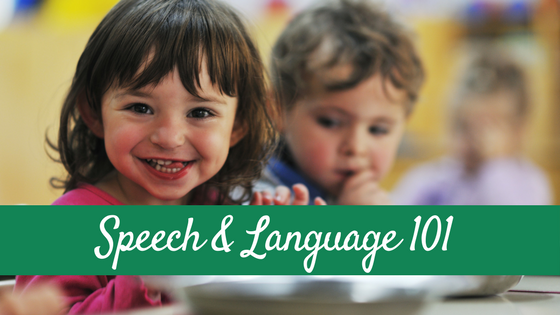 Hi my name is Jami & I have a 4yr old daughter with a speech delay. 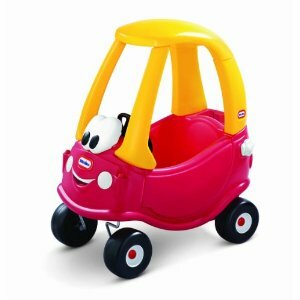 I just want to say thank you for taking the time to make this list of educational toys for parents. It is difficult to choose a toy sometimes you don’t know if it is good enough or if it will work at all. Thanks again & god bless. I can’t say how much to thank you for this website. It help me to calm down and used the toy we had in the house to learn, Jonah is 30months old with speech delay about 18month behind in speech. I wish I now it earlier…I’m struggling to find materials and tip to communicate with him. Frustrations for both of us as I don’t understand him and he throw tantrum and I don’t know how to deal with him. I speak quite fast, may be that’s y he don’t get me. We r seeing speech therapist at the moment, but Jonah still not talking and had very own agenda. Thank you for the very useful website. Ur education is worth the time and effort. You must have helped lots of parents who struggled like me. 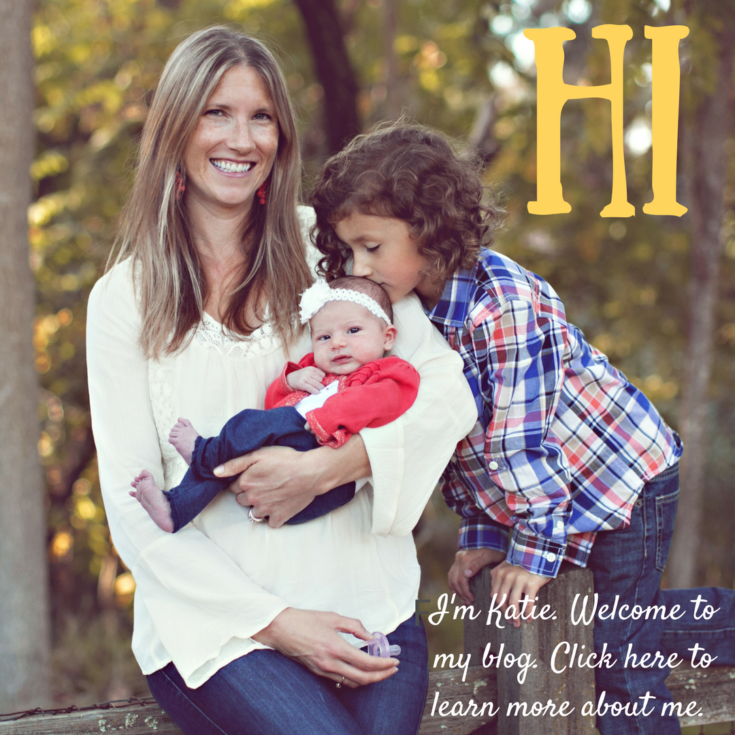 I am loving your blogs, your materials and your insight! Like you, I love empowering my parents to fully participate in the therapy process because the progress is so much more! I often refer them to your blog and the information that you provide! This list of toys is just what I’ve been looking for! And I always give you credit and refer to your website. 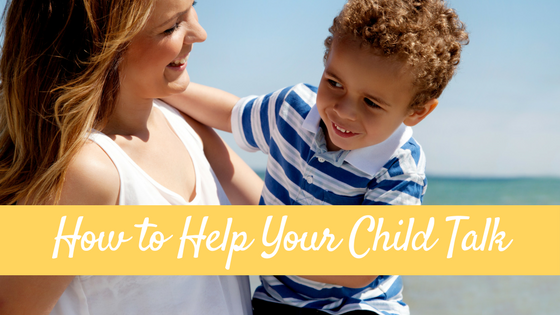 Keep up the great work empowering parents! I just found your website and it gave me so much insite about my son and his needs. 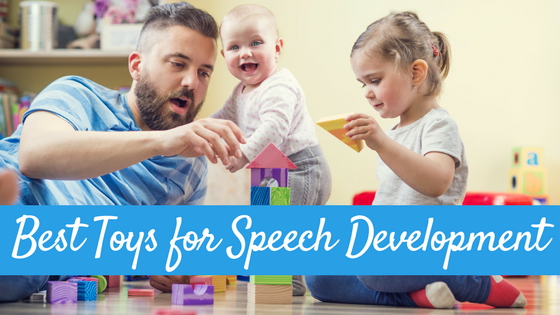 He is 28 months with speech delay and I’m a first time mom. 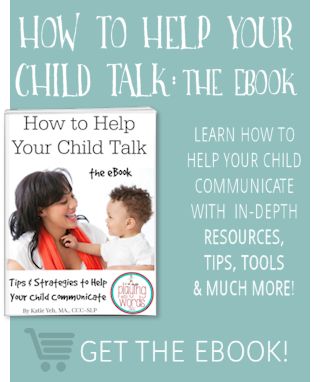 It was overwhelming trying to figure out what I can do on my end to help him aside from his speech therapist and you put it all into perspective! I’m very grateful for the few words my son DOES say and he shows me what he wants but we still have a long way to go. 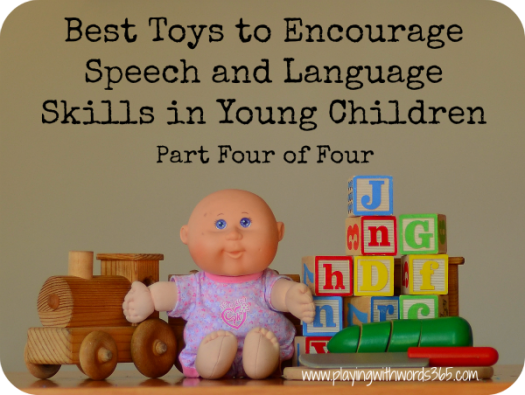 I read all of the toy blogs and the intro to speech delay . I can’t thank you enough!